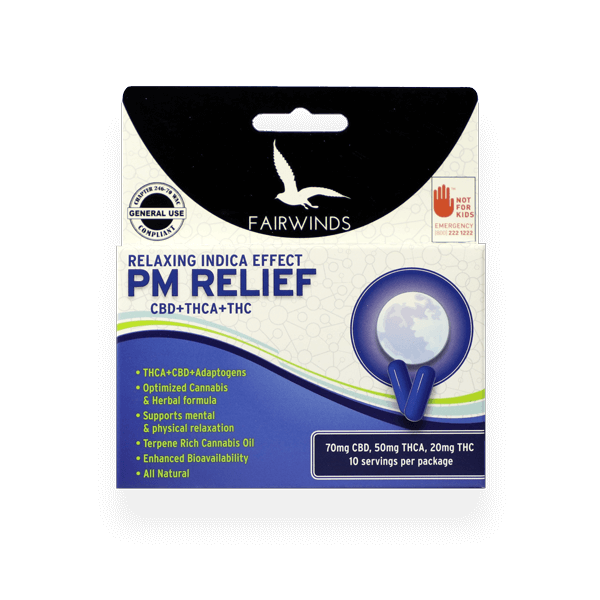 PM Relief is a formula designed to provide the comforting benefits of cannabis with minimal psychoactive effect. Try PM Relief to support your body during nighttime rest and relaxing activities. 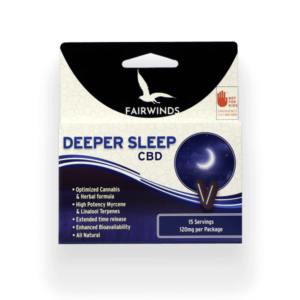 Keep yourself comfortable and calm, and without the stoned feeling of typical cannabis capsules. 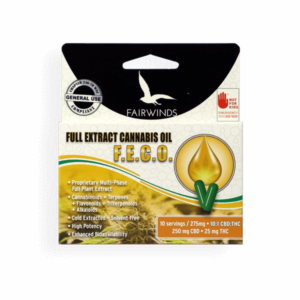 Isolated CBD does not harness the power of the entourage effect falling short of maximum effect, while pure THC can be too mentally active, sometimes causing disorientation and anxiety. 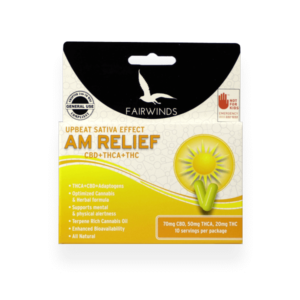 The PM Relief formula uses a special cannabinoid ratio in combination with potent herbal extracts to achieve maximum cannabis effect without feeling intoxicated. Willow Bark, Boswellia, and Red Sage are some of the key herbal components that enhance the body effects naturally seen in cannabis. Indica Cannabis Concentrate Oil, Herbal Extract Blend: (boswellia, peony, red sage, willow bark, chamomile, passion flower), Coconut Flakes, Gelatin Capsule.